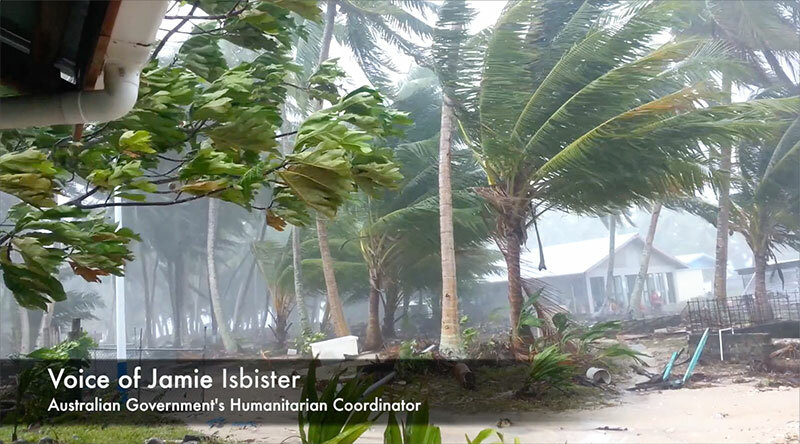 We’re looking for your creative solutions to prepare and respond to natural disasters in the Pacific. Beginning today and through February 7, 2016, we’re inviting citizens, innovators, entrepreneurs, businesses, and technologists to help us in rethinking humanitarian response in the areas of needs assessment, communications, logistics, and finance. Since 1955, natural disaster events in the Pacific have affected more than 9.2 million people and caused damage of more than US$3.2 billion, which can set back development goals by decades. In the 12 months from July 2014, Australia responded to emergencies in 21 countries across the Pacific, Asia, Middle East, Africa and Europe. This challenge is being launched by the Australian Department of Foreign Affairs and Trade and seeks to re-think three critical challenge areas in responding to disasters, and ultimately building a more resilient Pacific. So what does innovation look like? One creative solution that has assisted in disaster response is the DayOne Waterbag, a 10-liter water purification unit that can be worn as a backpack and uses Proctor and Gamble water purification packets to treat water in 30 minutes. Photo courtesy of DayOne Response, Inc. The founder, CEO and inventor of the DayOne Waterbag is Tricia Compas-Markman. She initially came up with the idea for the bag while studying engineering at California Polytechnic State University. 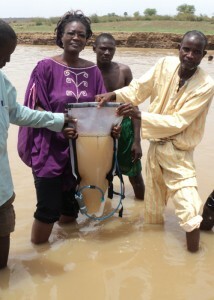 Since creating the Waterbag, Compas-Markman has seen it in use in numerous post disaster situations including both the Haiti and Nepal earthquakes. It has been used by communities and responders to provide 124,000 litres of clean water to refugees in Uganda, 54,000 litres to people affected by flooding in Benin and 276,600 litres post disaster in the Philippines. Another innovation created to fulfill a specific need is ReliefLink. The UN’s refugee agency, UNHCR, had been relying on paper-based data collection during emergencies and in refugee camps. The UNHCR found a potential partner in the shipping company UPS, which uses technology called TrackPad to trace packages all over the world. Using this technology on mobile devices, under the name UPS ReliefLink, aid workers can now record the details of assistance given to individuals in refugee camps, and share that data with relief workers close by and across the world. ReliefLink has already been used to speed up registration and assistance distribution in Mauritania and Ethiopia. The refugee agency says that the next step will be to bring the tool to camps in the Middle East sheltering Syrian refugees. We’re excited to see what innovations will come from the Pacific Humanitarian Challenge. We also encourage you to share your solution on social media using #RethinkingResponse.